The following is excerpted from the LDS Church News. To read the full article, CLICK HERE. 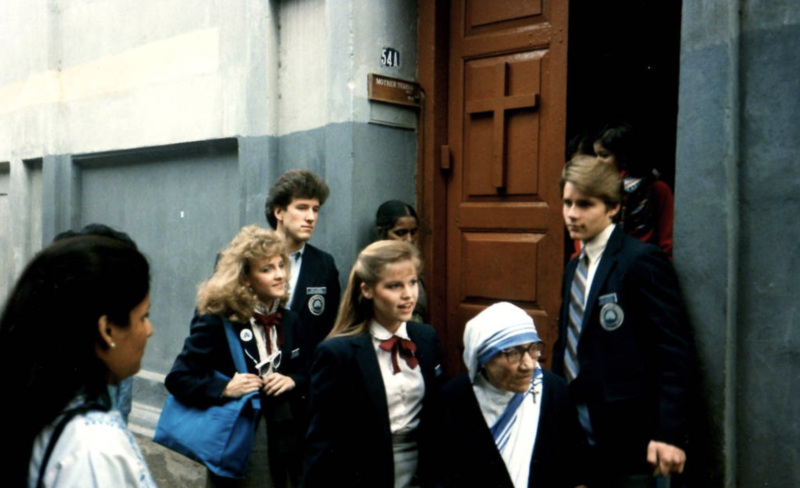 It was the winter of 1986 in Calcutta, India, — and Taunalyn Rutherford and her fellow BYU Young Ambassadors had spent several hours, unexpectedly, with the venerated Catholic nun visiting orphanages and end-of-life care facilities. Now, in an exchange of services of sorts, Mother Teresa was asking the students to sing for the Lord. “We went up to her sanctuary and sang ‘I Am A Child of God,’ said Rutherford. It seemed an obvious choice for that moment, that setting and that unique audience. Witnessing a Nobel Peace Prize recipient minister to some of India’s most helpless people proved career defining for the BYU dance major. “The experience we had spending a day with Mother Teresa was completely pivotal in my decision to study world religions,” she said. Fast-forward 33 years. Rutherford is now a BYU Religious Education professor and much of her academic research has focused on the history of the Church in India.